Taxotere lawsuits filed on behalf of individuals who allegedly experienced permanent hair loss due to side effects associated with the widely-used cancer treatment continue to mount in the U.S. District Court, Eastern District of Louisiana. An update provided by the U.S. Judicial Panel on Multidistrict Litigation (JPML) indicates that 1,491 Taxotere hair loss claims were pending in the Eastern District of Louisiana as of August 15th. That represents an increase of 219 filings since the JPML issued its previous update in July, when 1,272 pending cases where reported. 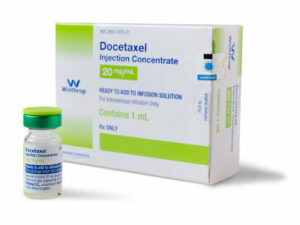 Taxotere is a chemotherapy agent manufactured by Sanofi-Aventis that is currently indicated to treat breast cancer, head and neck cancer, gastric cancer, prostate cancer, and non-small cell lung cancer. Taxotere was approved by the U.S. Food & Drug Administration (FDA) in 1996. Sales of medication grew from $424 million in 2000 to $1.4 billion in 2004. The JPML agreed to centralize all federally-filed Taxotere lawsuits in the Eastern District of Louisiana so that the growing number of product liability claims involving the drug could undergo coordinated discovery and other pretrial proceedings. Although chemotherapy often causes hair loss, lawsuits involving the drug assert that Taxotere-associated alopecia is far more likely to be permanent compared to the hair loss seen with alternative, equally effective chemotherapy medications. Plaintiffs also point out that Sanofi notified the European medical community of this possible side effect in 2005, while the Canadian Taxotere label underwent a similar modification in 2012. However, mention of permanent alopecia was not included on the U.S. Taxotere label until December 2015.